The beloved characters Shelley Shepard Gray created for her bestselling Seasons of Sugarcreek series are back in Christmas in Sugarcreek—a heartwarming story of the magic of Christmastime and the blossoming of an unlikely love in a close-knit Amish community. Obedient daughter Judith Graber finds herself becoming uncomfortably enamored of the help her father has hired to assist in the store during the holidays: Ben Knox, as scandalous a bad boy as they come in staid and quiet Sugarcreek. 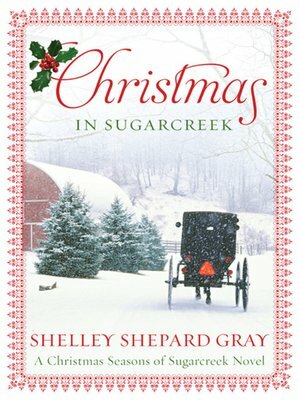 Author of the immensely popular Sisters of the Heart novels, Shelley Shepard Gray is one of the true masters of Amish inspirational fiction, and Christmas in Sugarcreek is a delightful holiday treat for all lovers of Christian romance—especially fans of Beverly Lewis, Wanda Brunstetter, and Cindy Woodsmall.